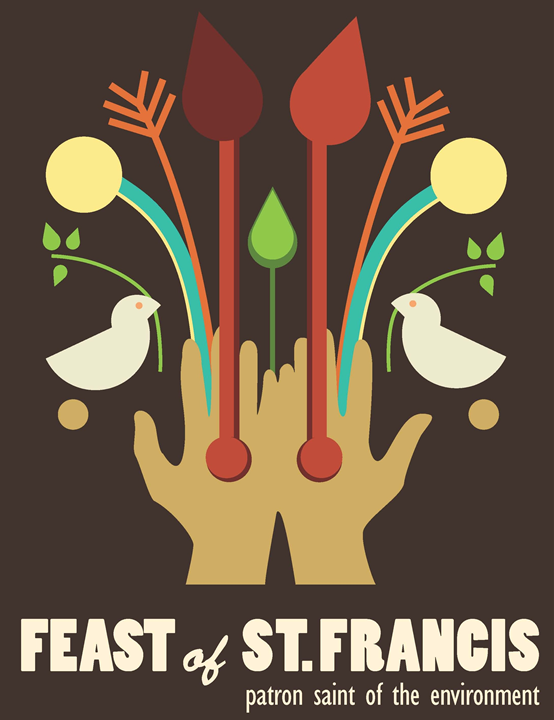 Join us in celebrating the legacy of St. Francis of Assisi as we strive to follow in his footsteps in caring for creation and the poor. At 4:30 PM, we will gather in front of the Main Building at the statue of the Sacred Heart of Jesus to pray for the health and safety of all bike riders. Please bring your bike if you can, but join us even if you don’t have a bike with you. This year’s Mass to pray for care for creation will be celebrated by Rev. Terry Ehrman, C.S.C., in the Basilica of the Sacred Heart at 5:15 PM. He will lead a nature walk following the Mass at 6 p.m.
Dinner at North and South Dining Hall will feature festive (and delicious) nature-themed desserts. Sponsored by the Minor in Sustainability, Campus Ministry, Center for Social Concerns, Campus Dining, Student Government, and ND Energy.